After a slower-than-expected start, PlayStation VR is finally picking up steam. 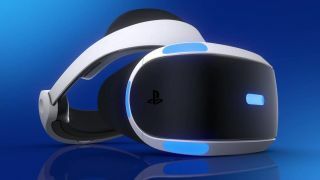 On a post today on the PlayStation Blog, Sony says that PlayStation VR has just crossed the 3 million unit sales mark, adding that over 21.9 million experiences – games and apps – have been sold along with the headset. The post details some of the platform’s best-selling games – which includes Skyrim VR, Resident Evil 7 Biohazard and Farpoint – and highlights two upcoming titles (Creed: Rise to Glory and Evasion) that are coming in the next two months. While the landmark sales number gives Sony something to celebrate, its effect on the larger VR ecosystem remains ... well, rather ambiguous. The biggest problem is that, while Sony has been forthcoming about its sales numbers, HTC and Oculus are dead-silent about total number of units sold. In a blog post in July, HTC claimed it raked in around 35% of the global revenue so far in 2018 for VR headsets with its HTC Vive, HTC Vive Pro and China-exclusive Vive Focus. And while that number kind of tells us HTC is the market leader with a positive trajectory in the VR arms race, it doesn’t tell us how it stacks up apples-to-apples with Sony. As for Oculus, analysts estimate that Facebook’s VR brand sold around 229,000 Oculus Go VR headsets in the last three months, but can’t place how many total Oculus Rift units have been sold. While the industry should stop and applaud Sony for its results – 3 million units is nothing to sneeze at – the vaunted milestone has cast a light on an industry that's all too happy to hide its numbers in the shadows.